Egg, Cheese, and Sausage Sandwich & Deluxe Breakfast Burrito – Winnings Coffee Co. Egg, Cheese, and Sausage Sandwich at Winnings Coffee Co.
Winnings Coffee Co is a great place to have a meal in an environment that pretty much looks like home. Each time you go there, you will get a uniquely prepared meal on everyday dishware. On this trip, my friend ordered the Egg, Cheese, and Sausage sandwich. 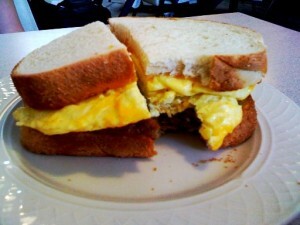 It’s quite a simple breakfast item and worth eating as an alternative to fast food breakfast. Contained in it is breakfast sausage, egg, and cheese. Deluxe Breakfast Burrito at Winnings Coffee Co.
What I ordered is a New Mexican favorite: smothered breakfast burrito. The Deluxe Breakfast Burrito at Winnings Coffee Co is a great meal if you’re hungry for breakfast. 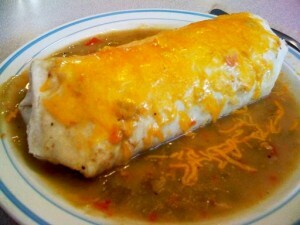 It is stuffed with egg, sausage, and topped with cheese and smothered with either red or green chile. I prefer green chile and tastes fantastic. Intended audiences for these meals are for people wanting breakfast in an energetic environment. You’ll get a unique meal that tastes great every time. At the Buckhorn Tavern, you can get a lot of great tasting food, and in particular the most-ordered menu item there. Diners particularly like the Buckhorn Burger – a hamburger patty with tomatoes, lettuce, cheese, New Mexican green chile, and a hamburger bun. Normally, you add ketchup or mustard to the hamburger, but the green chile adds a lot of flavor to the hamburger that it isn’t too necessary. You can have it made to order. In addition, fries and a can of soda are also great to have along with the burger. For those who want fries and something different, the Hamburger Special is truly unique. 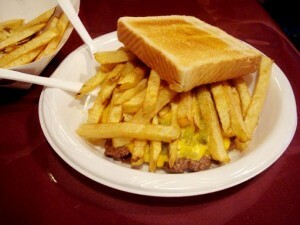 It is a hamburger patty smothered in green chile and cheese, topped with french fries and a slice of Texas toast. 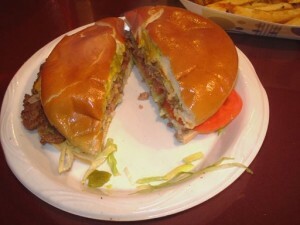 According to the Buckhorn Tavern, this is not a hamburger–and it really isn’t one. The intended audience for these two plates are for those craving green chile and cheese. 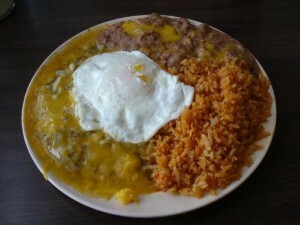 At El Camino, you can order a multitude of breakfast, New Mexican, and American food–any time during the day. So on this visit to El Camino, I ordered the Two Item Combination plate. You can pick two of anything from cheese, beef, or chicken enchiladas, tamale, chile relleno, and taco. It comes with a choice of red or green chile, and beans and rice. 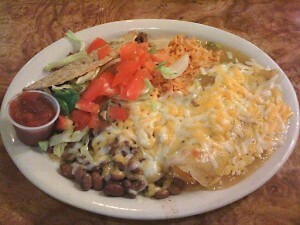 On this plate, I ordered it with a cheese enchilada, a beef taco, and topped with green chile. It also was topped with cheese. The intended audience for this plate are for those who want to choose what they want to eat. Don Juan’s Cocina is quite a unique restaurant in Socorro. Their food is astonishingly great and authentic New Mexican. What may seem to be a small restaurant with a small menu, they offer a variety of New Mexican foods. On this visit, my friend ordered the Flautas plate, and I ordered Green Chile Cheese Enchiladas. 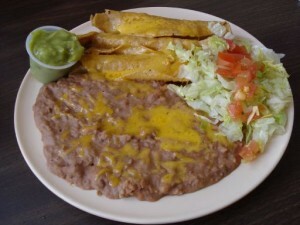 On the Flautas plate, you get flautas–which are corn tortillas filled with beef (think taquitos, but not) with guacomole along with beans, rice, lettuce, and tomatoes. My friend opted out of the rice and asked for beans only. For me, I ordered a classic–green chile cheese enchiladas. 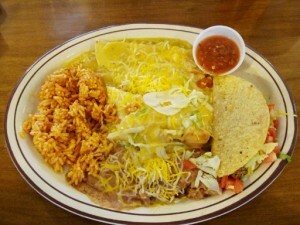 On this plate, you get rolled corn tortillas filled with cheese, topped with cheese and a choice of red or green chile. It also comes with beans and rice. Optional is the egg on top. The chile is nice a hot. The intended audience for these plates is for those who want to indulge in green chile or want a taste of guacamole. Now I’m back updating Eat Local NM! Computer troubles and moving to a new place made updates tricky. But that doesn’t stop the eating in New Mexico. 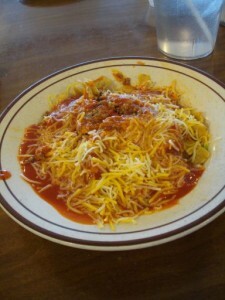 Sofia’s is a restaurant in Socorro that is quick to eat and has a great selection of New Mexican and American foods. But where they stand out is the hot and spicy food they serve there–plus the gigantic cups of water, tea, and soda. I ordered the Combination Plate, which is a sampling of food–cheese enchilada, tamale, taco, beans, and rice–and smothered with either red or green chile. My friend ordered the Frito Pie, which is a small meal but packs a punch with spice. It is simply chile and meat piled on frito chips with cheese sprinkled on top. Hi everyone! Here at Eat Local NM, I try to post weekly about food, but I had some problems on the computer that I used for editing and loading the photos to the site. My laptop had a hardware failure and required repair and restoration of all the applications and files. 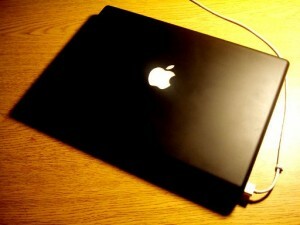 Yes, it is a MacBook, but it’s over three and a half years old and has worked fantastic for me. All computers fail eventually, and all we have to do is move forward. So, all is not lost, I have the photos from the past few weeks saved on my camera. By this Friday, I hope to get everything resolved and back up to regularly posting. So keep checking up in the following weeks and next month I’ll be featuring more restaurants in Albuquerque and find some local producers. If you have a local restaurant suggestion for me, please leave a comment below!